Yesterday was Christmas Sunday. (The Sunday just before Christmas this year). While walking to church before 7 A.M., I saw from afar a big bright star. 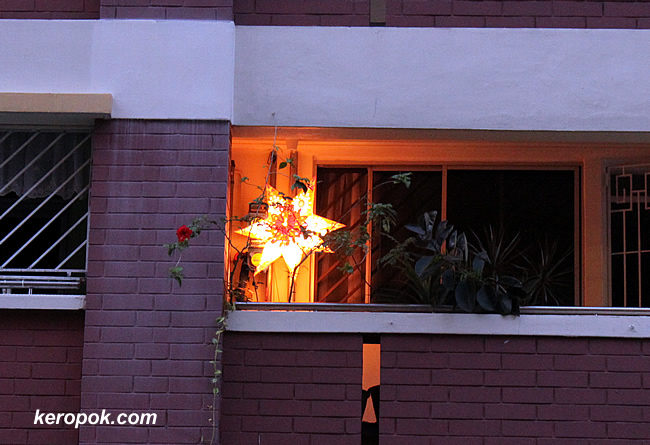 A house at one the blocks behind the church I attend has put up a star. It was still not very bright so the star shine brightly. It sure caught my eye! I thought: - I was like the shepherds who saw the star 2000 years go. - I was like the Three Wise Men who same the same star 2000 years ago. - It's just you and me seeing this star and being reminded what Christmas is all about. Have a very Blessed Christmas week to all!